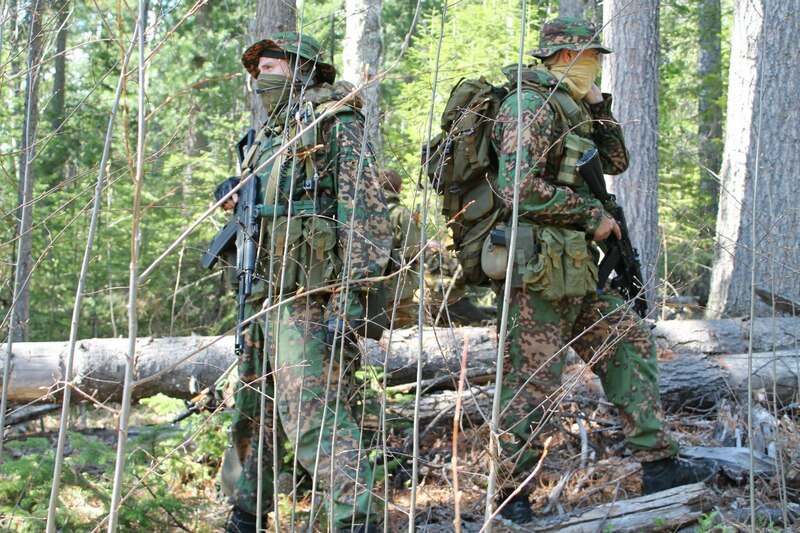 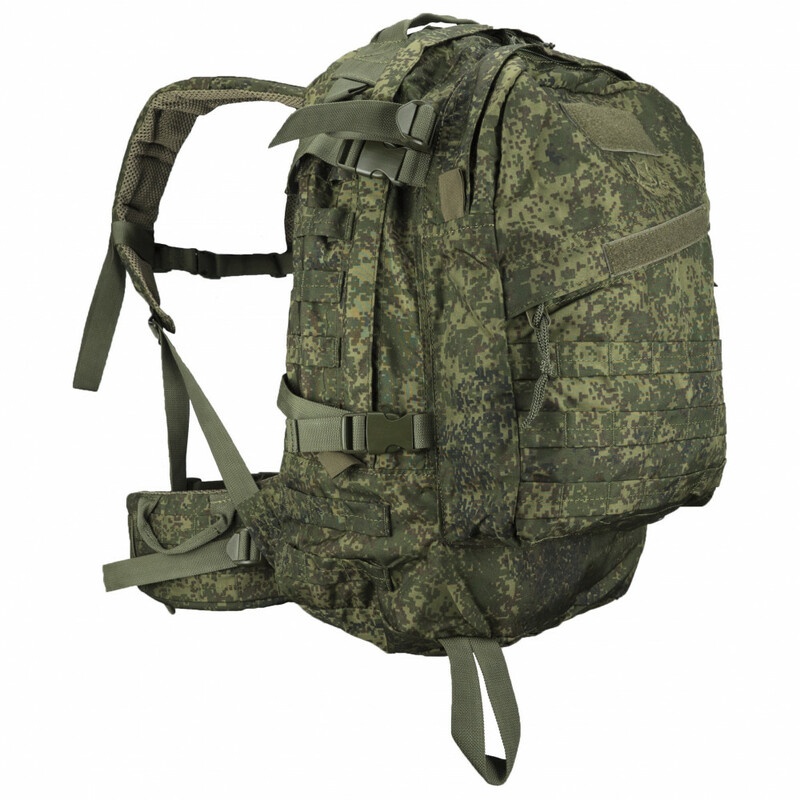 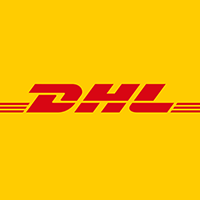 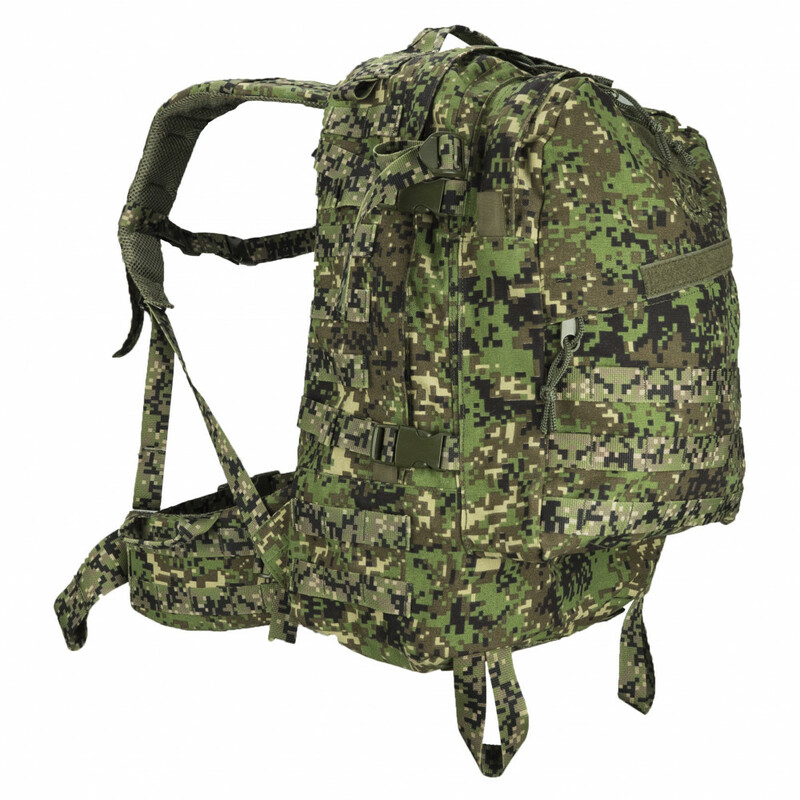 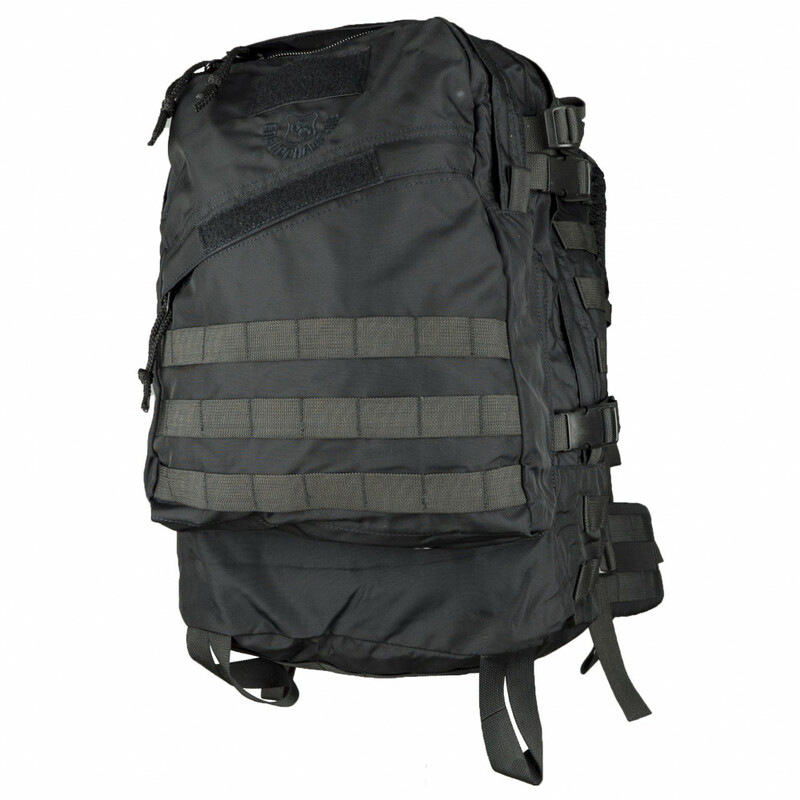 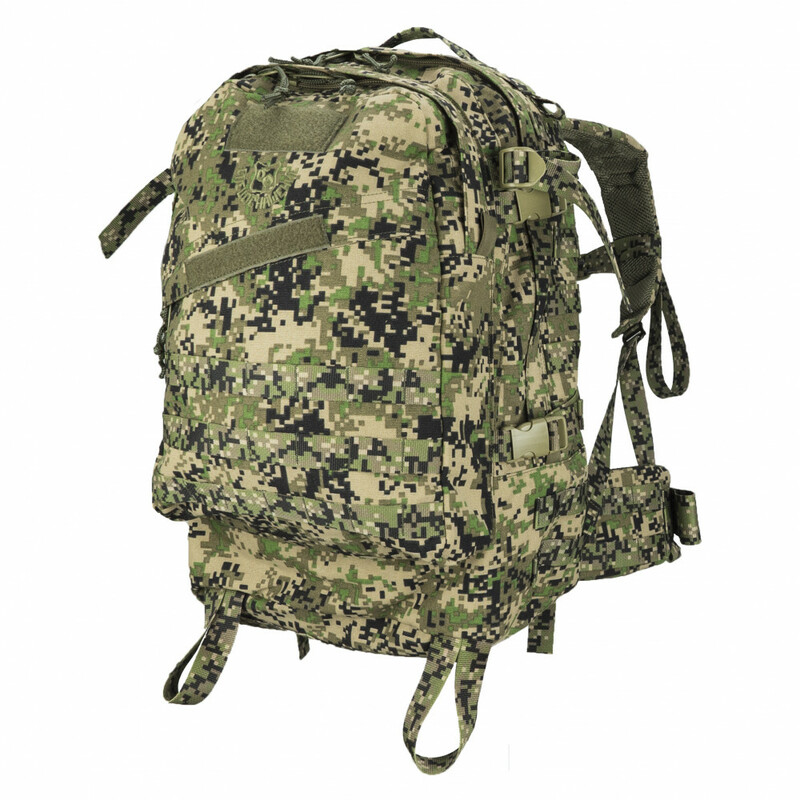 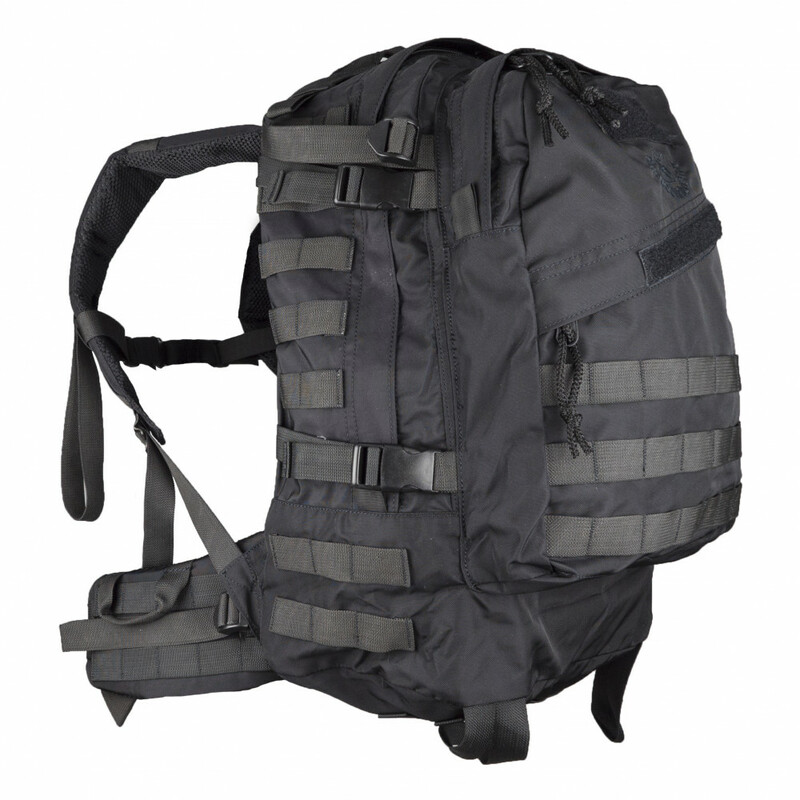 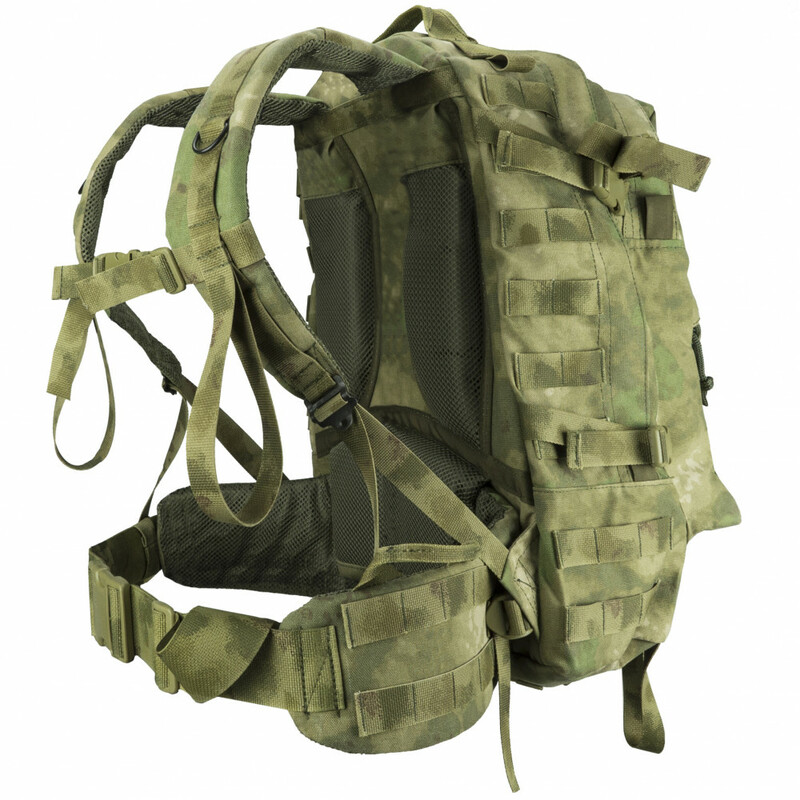 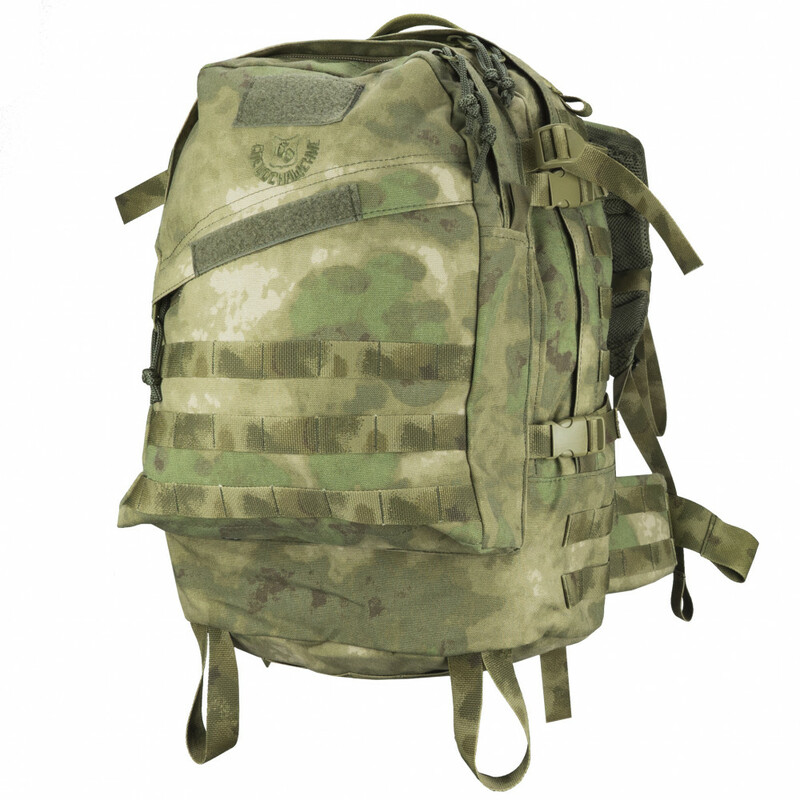 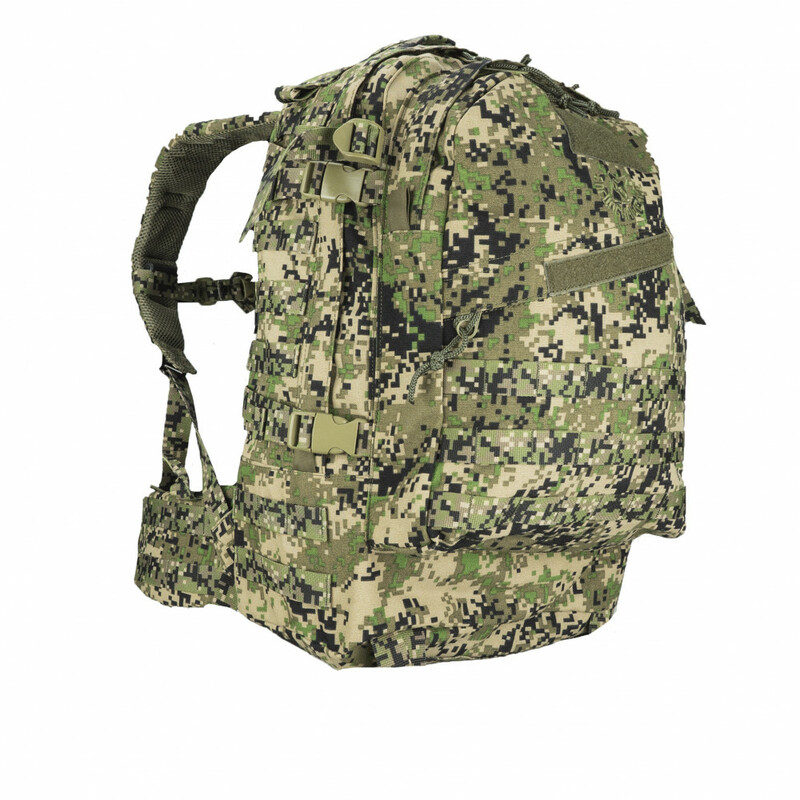 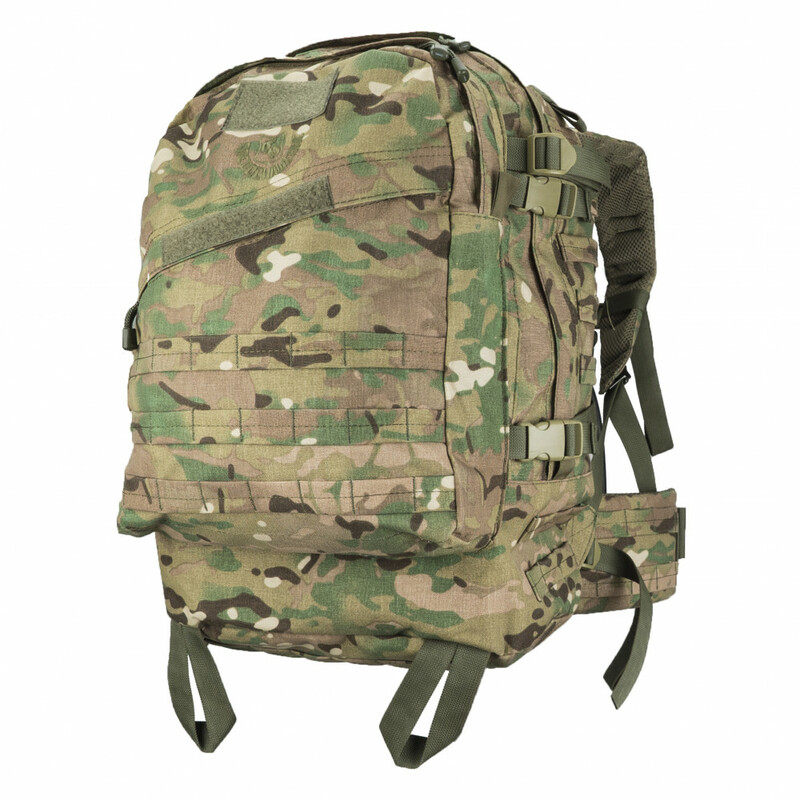 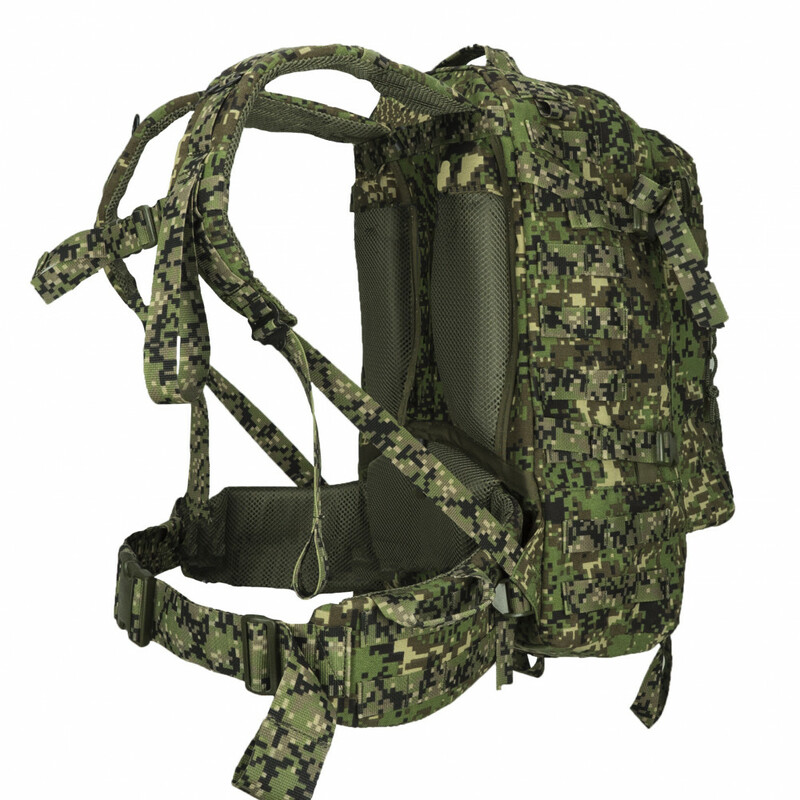 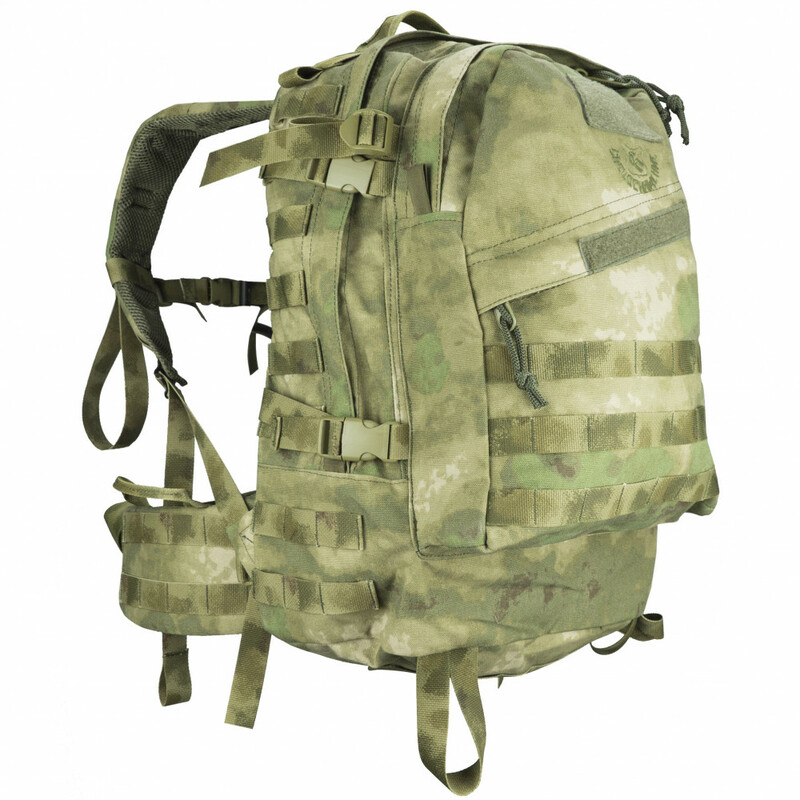 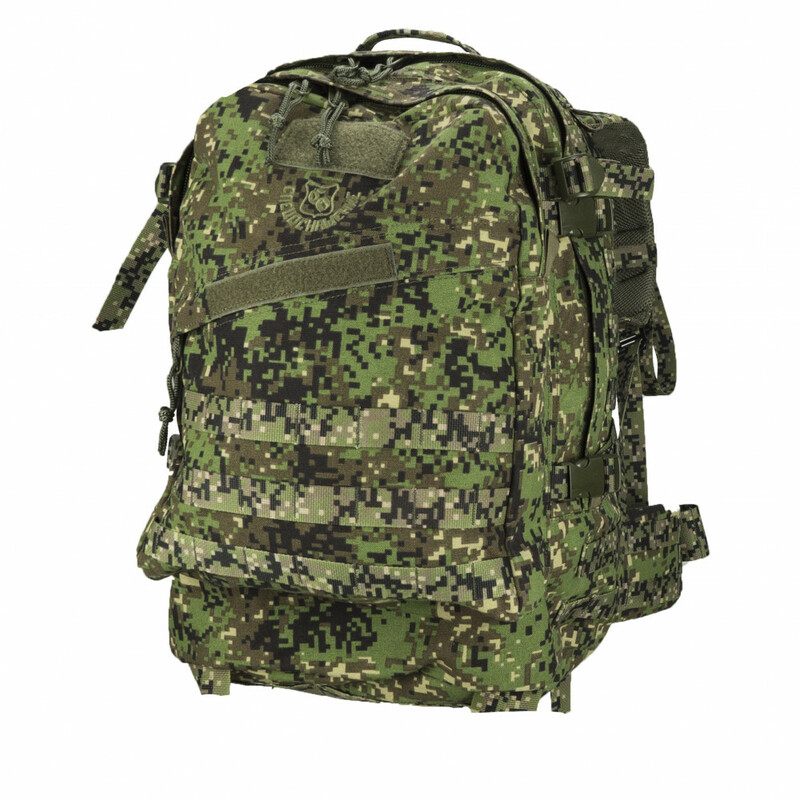 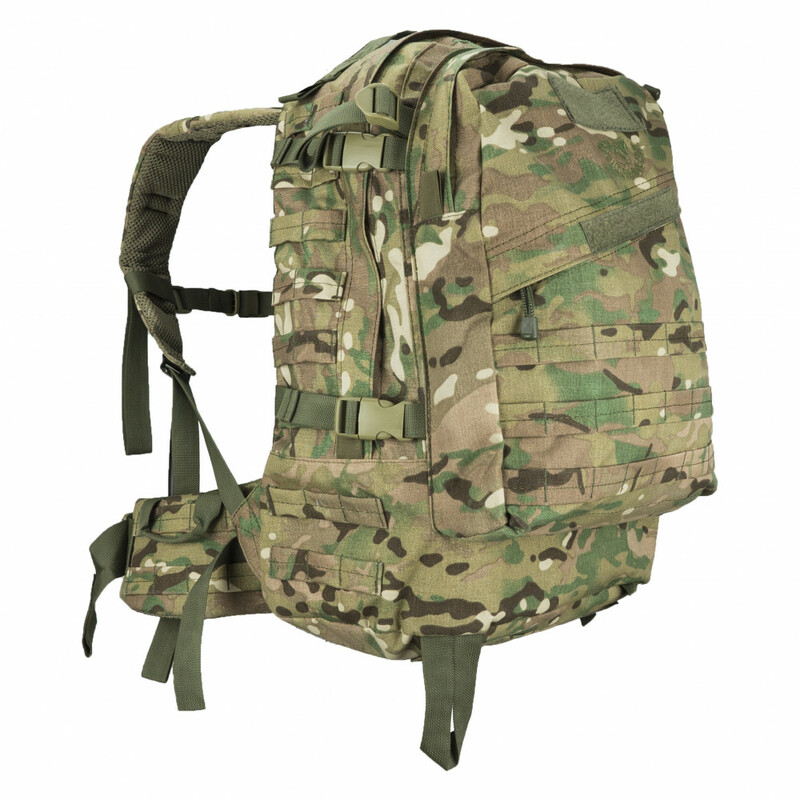 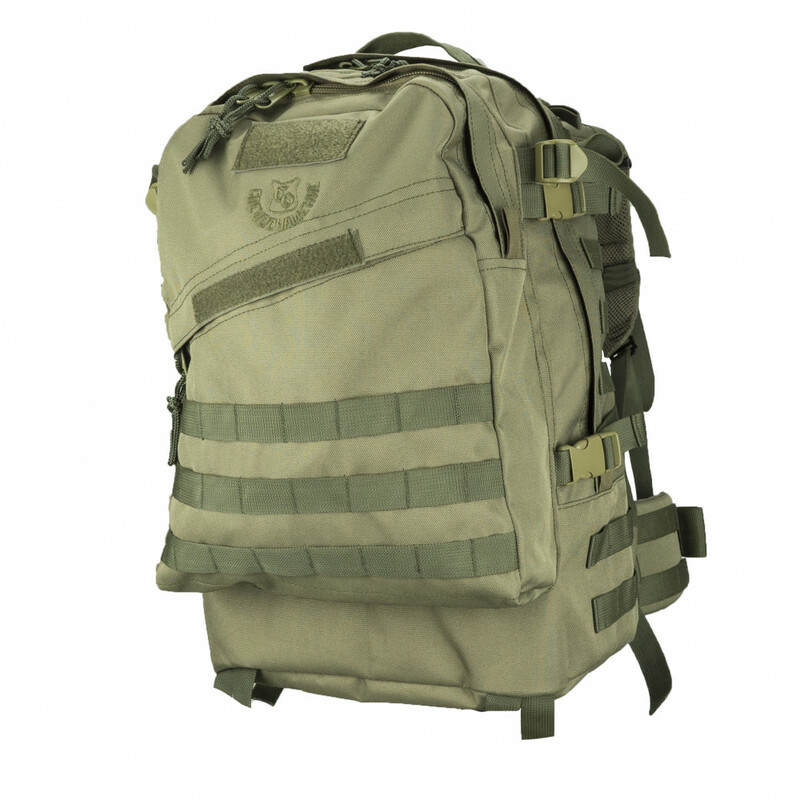 Comfortable in usage, durable, elaborate and spacious backpack, which suits perfectly multiple days airsoft games, tourism, outdoor travelling, or just everyday life and allows you to bring all things which you need with during the game or travel. 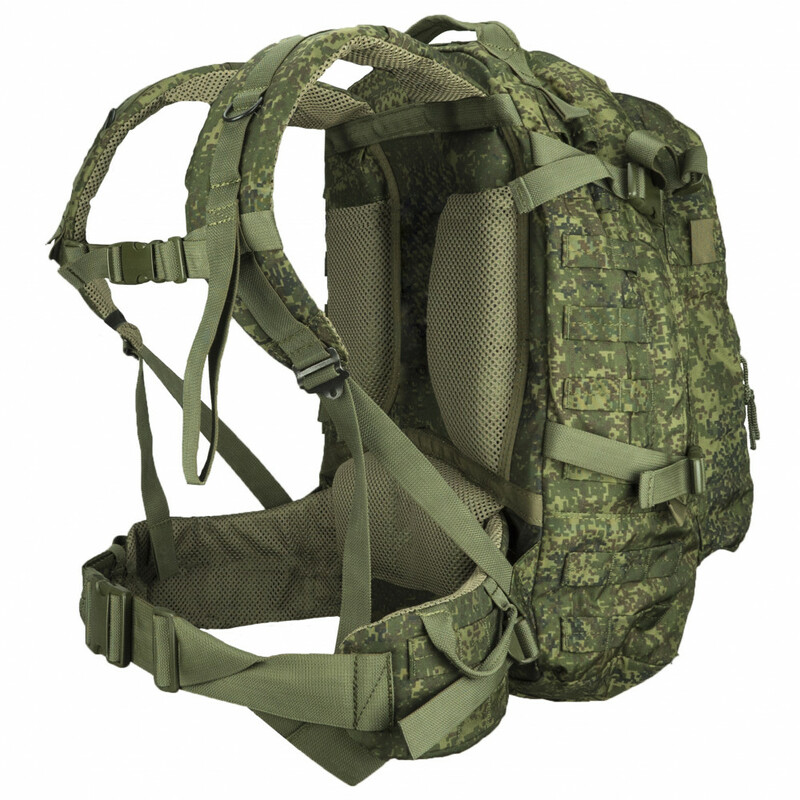 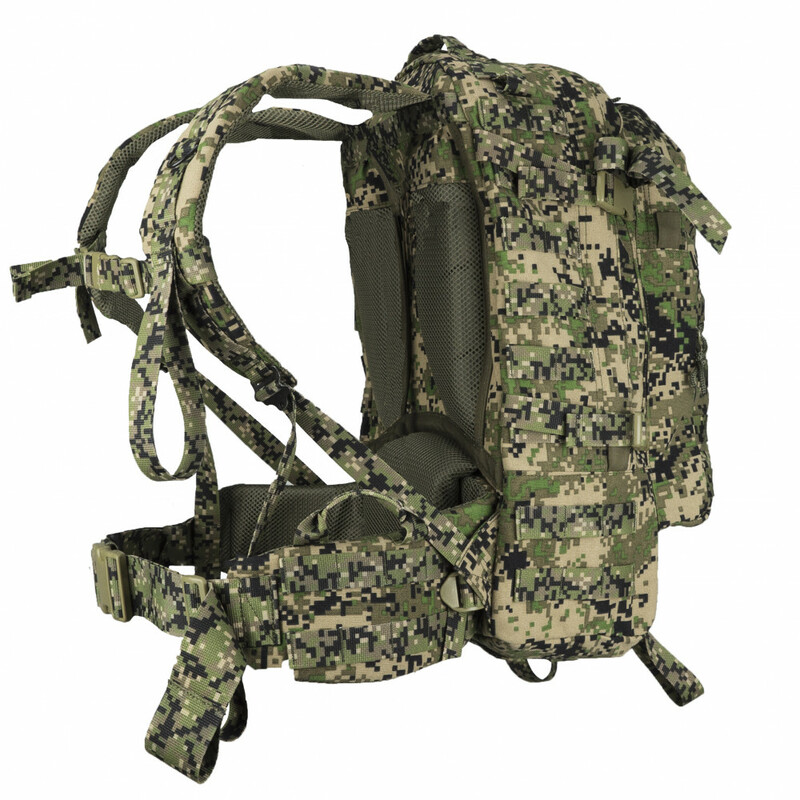 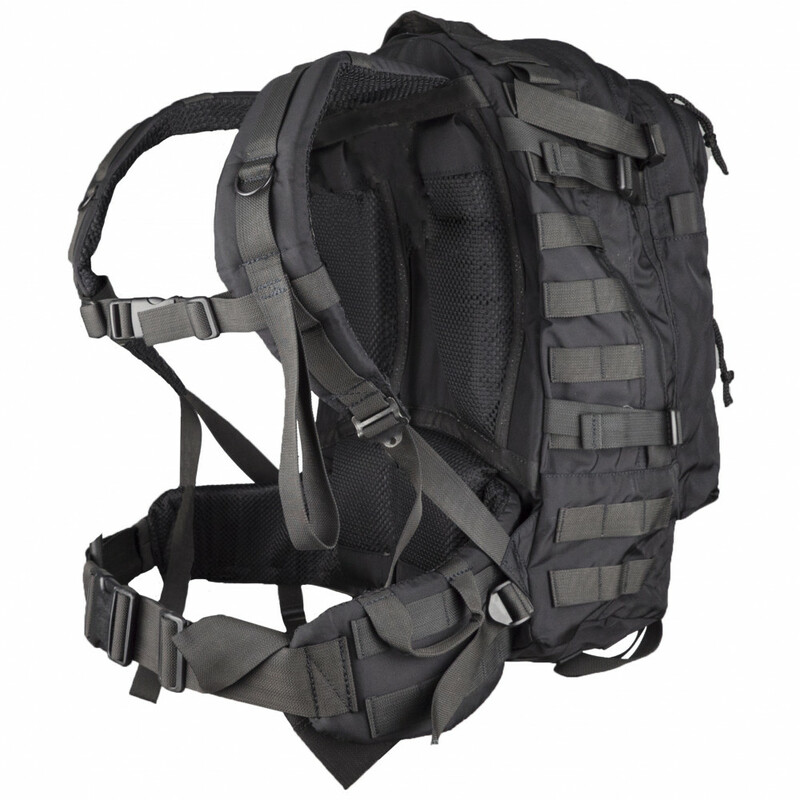 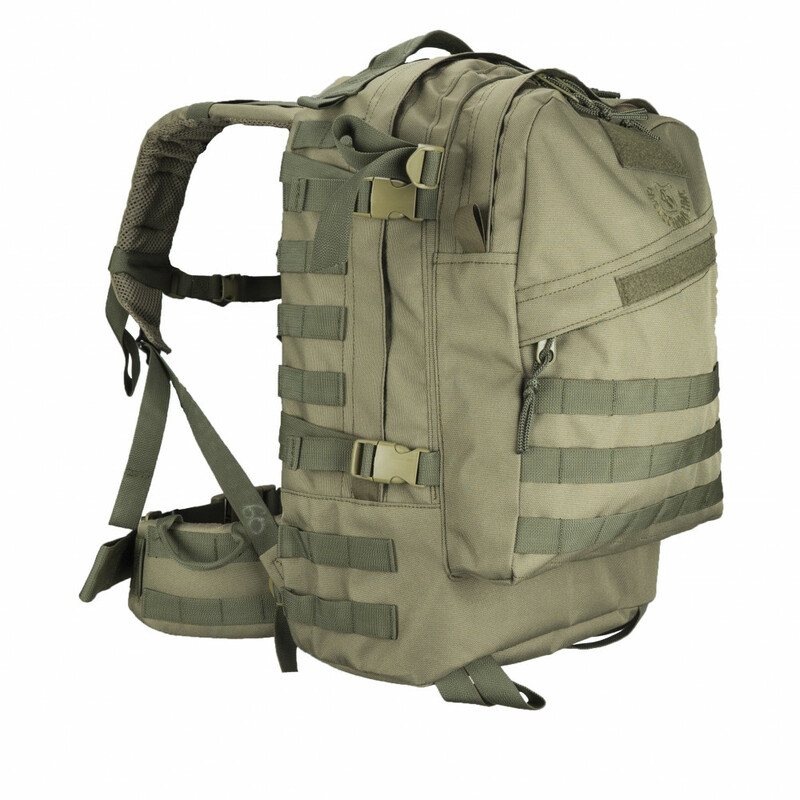 Has Airmesh grid, MOLLE interface, flap for Camelback system, a lot of straps for any additional equipment. 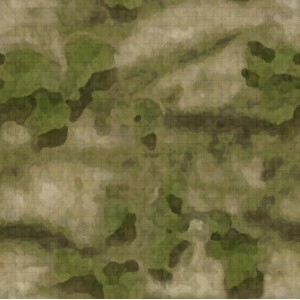 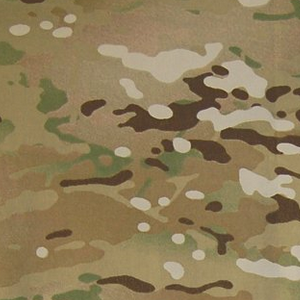 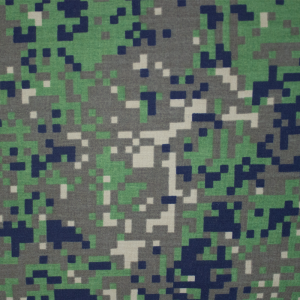 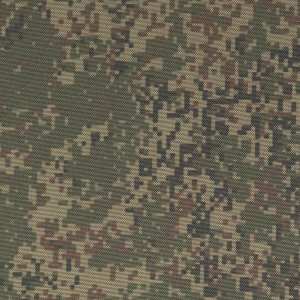 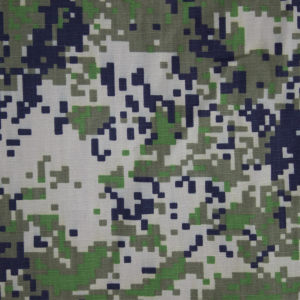 Also, has a belt, which is equipped with MOLLE interface too. 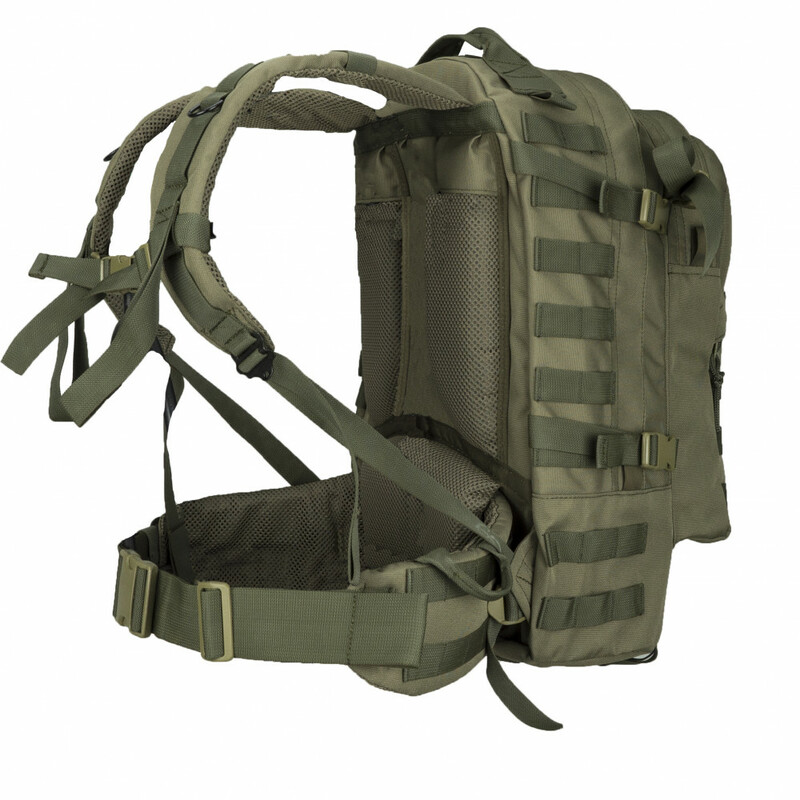 Has two compartments of grand volume (one of them with large pocket for laptop or Camelback system) and one little comportment on zipper, where are 2 more pockets for mobile phone or radio and 3 little pockets for pen, pencils or glowsticks. 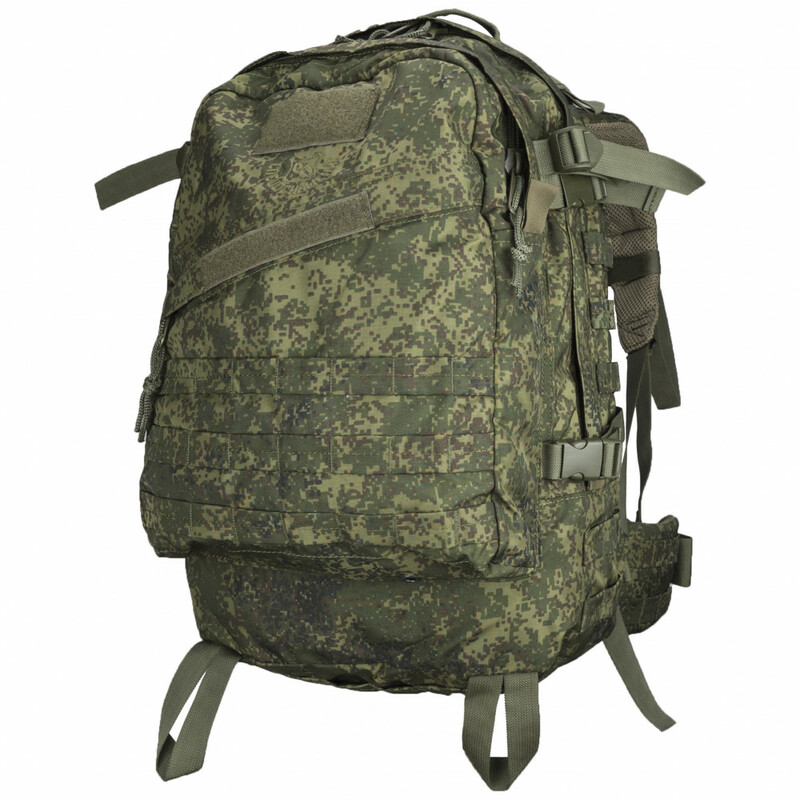 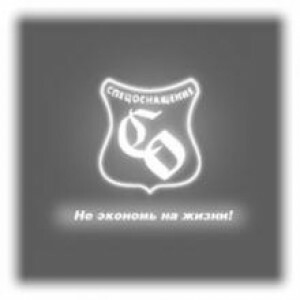 With such kind of backpack you will comfortable wherever you will be, like in mountains of Caucasus or Ural.